While the 21st of June has long been the official kick off to everyone’s favorite season, the true start date for summer ultimately depends on who you ask. Ask a college student, and they’ll pretty much just tell you the date of their last final exam; ask a 9-5’er who hates his/her job, and they’ll tell you ‘summer is dead to me’; ask a gamer/geek, and these days they’ll probably tell you summer starts ‘whenever E3 starts’. Regardless of when summer starts for you, we can all agree that no other season comes close, especially when it comes to finding love. Whether you’re planning regular weekend beach trips to Lake Michigan or simply planning on setting up shop with your friends at your favorite watering hole’s beer garden – (or awesome arcade bar), summer is that perfect time of year where everyone seems to come outside, mingle, and search for love. The weather is warm, the sun shines longer, and for those of us who had the pleasure of growing up or are currently living in northern climates, people are just generally happier this time of year, and for good reasons. But here at LFGdating, we don’t want you to just be happier because of the warmer weather; we want you to be happier because you’ve found that exact someone that you can spend not just your entire summer with, but multiple summers with and quite honestly, your entire life with. We also want to keep your wallet happy at LFG, so you can spend more of your hard-earned money on your significant other than monthly online dating subscriptions. 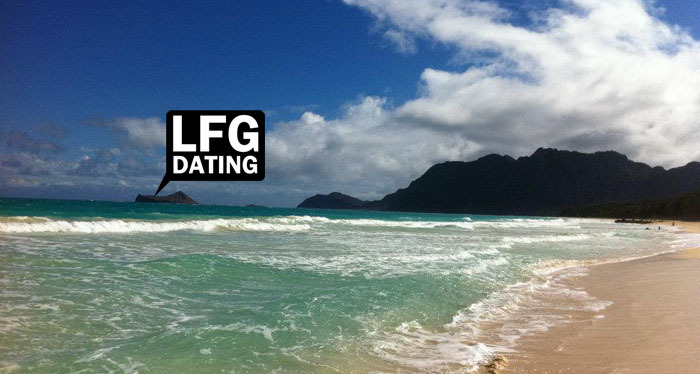 At LFG, our one-time, lifetime subscription costs about the same as one month at Match or eHarmony. And the best part: LFG is 100% geeks, gamers, and nerds, so you know that natural connection is already in place, and that’s perhaps the greatest feeling of all. With summer just about here, you could not have picked a better time to create a profile, and find love. Whether you’ve got a few months off before your next semester, or just have weekend trips planned to the beach, make this summer even better by sharing it with not only someone else, but that someone else who may just be by your side for every other summer down the road.